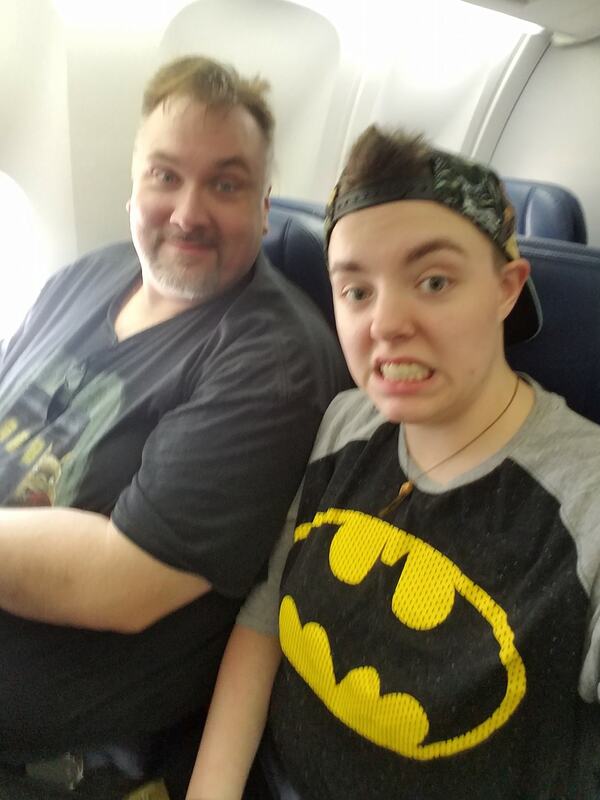 My trip to the United Kingdom for London Film and Comic Con was (not surprisingly) one of the most amazing convention trips I’ve ever had. Some of the content of this post already appeared in bits and pieces in my Facebook and Twitter feed, but I wanted to add a few things and gather it all in one place. 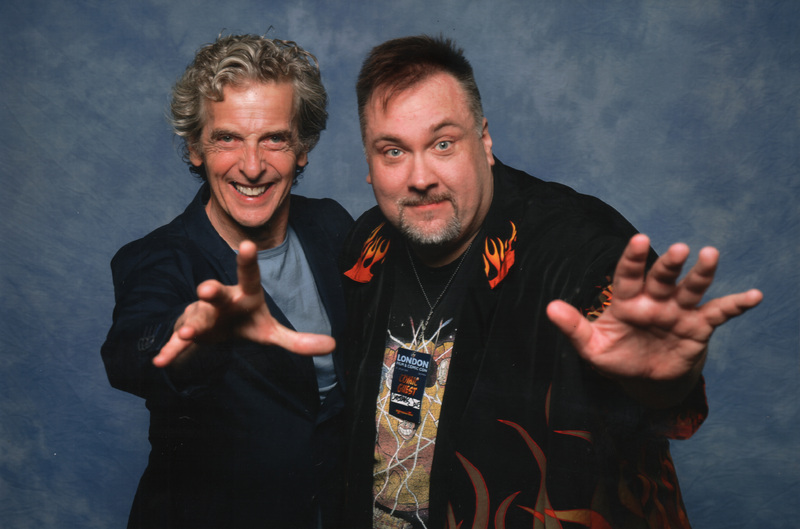 Thanks again to Tony Lee and London Film & Comic Con for bringing me to London, and for allowing me to push my return back by a week allowing my friend and convention-helper Tim Fox and I time to enjoy London and other parts of the UK after the LFCC weekend. 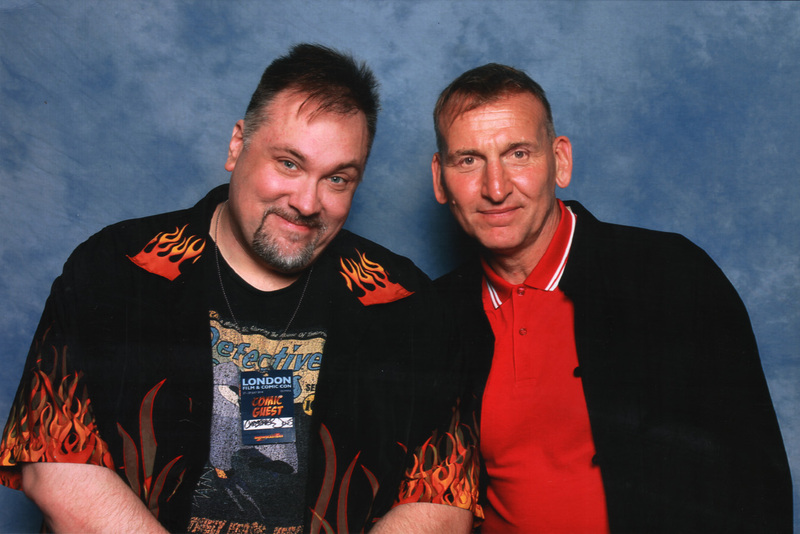 The convention itself was a great experience, greatly thanks to Tony Lee and his LFCC Comic Zone Team. 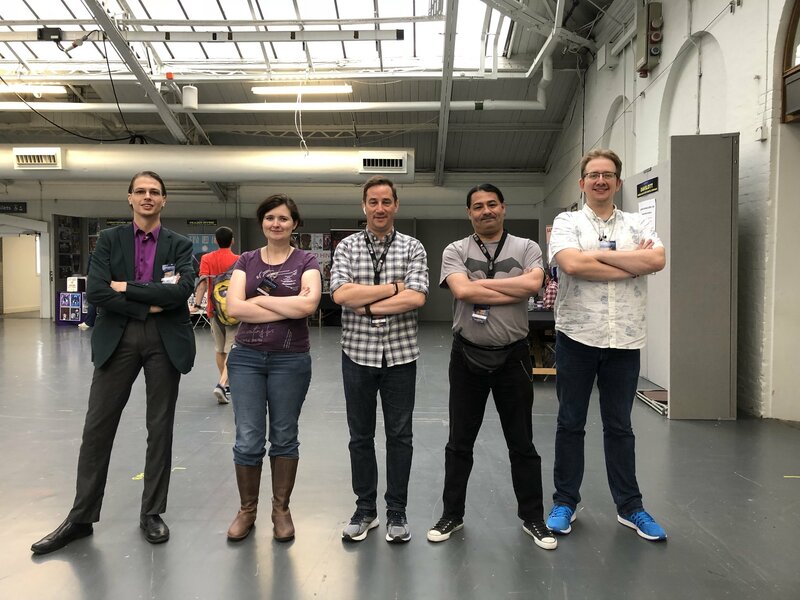 The LFCC Comic Zone Team: Antony McGarry-Thickitt, Amy-Jayne McGarry-Thickitt, Tony Lee, Michael Mastakin, and Dan Hart. I got to meet lots of British fans and connect with other creators from the worlds of comics and Doctor Who, including (but by no means limited to) Rachel Stott, Dan Slott, Sara Pichelli, Mike Collins, Jeff Cummins, Steve Niles, Jorge Jiminez, James Peaty, Chris Thompson, Alisa Stern and Scott Ampleford of Puppet Who, and Stephen Saleh. 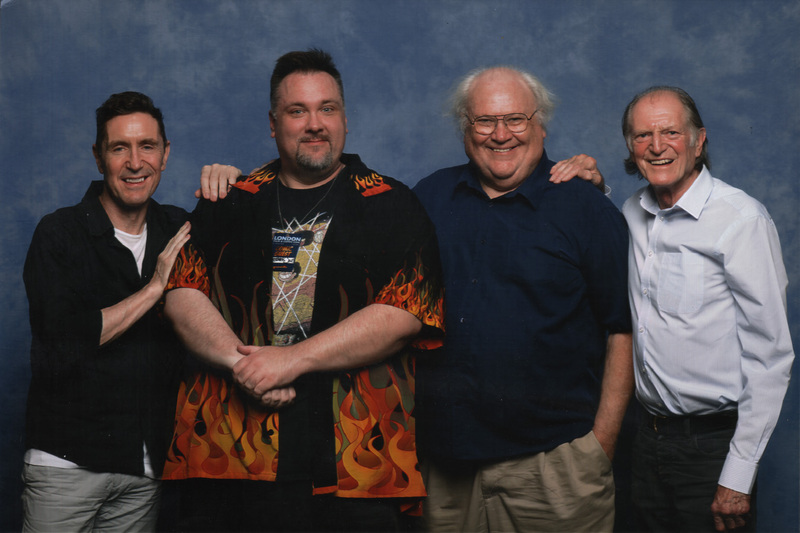 Normally at conventions I’m busy working my table and I never get to see any of the “celebrity” guests, but thanks to Tony I was able to find time to get photos with Doctors Tom Baker, David Bradley, Paul McGann, Colin Baker, Christopher Eccleston, David Tennant, Matt Smith, and Peter Capaldi! I did a few sketches over the weekend, this one was probably my personal favorite. 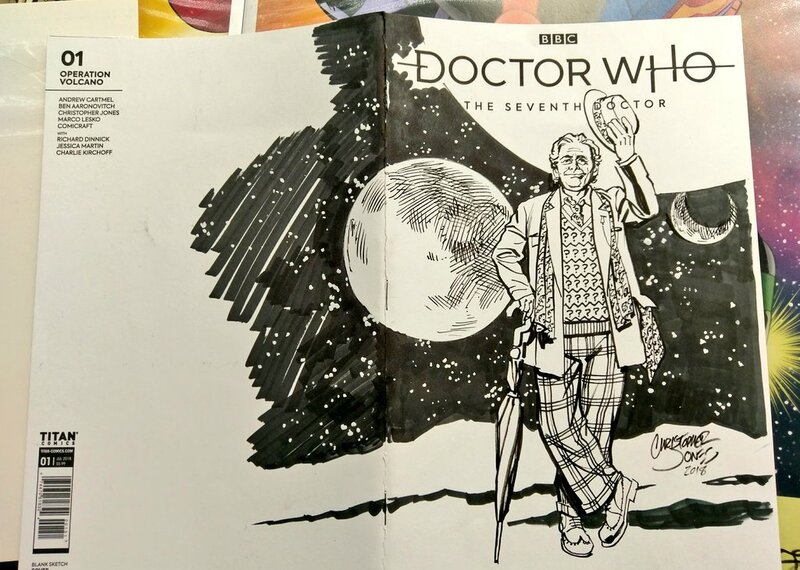 Sylvester McCoy as the Doctor on a sketch cover variant of the Doctor Who: The Seventh Doctor comic. This gets an honorable mention because it amused me so much. 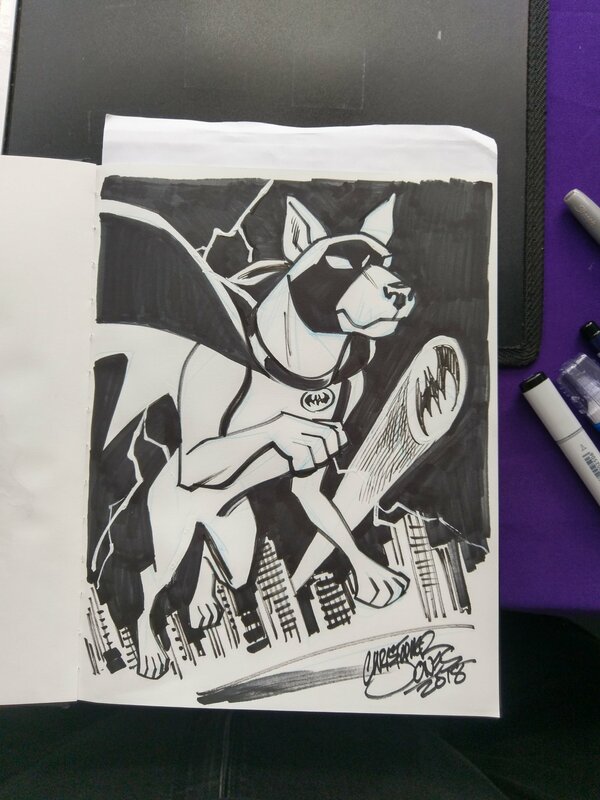 When you are at a London comic book convention with EIGHT Doctor Who’s in attendance and you’ve just drawn a 7th Doctor mini-series and a fan asks for a sketch of “Ace,” you could be forgiven for not immediately realizing they wanted a sketch of Ace the Bat Hound! 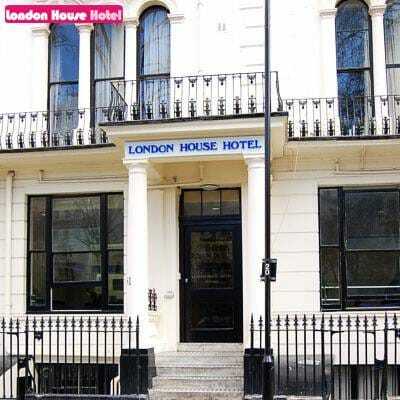 The London House Hotel and it’s cool (creepy?) automatic door. The Monday after the convention, Tim and I checked out of the hotel where we’d been put up by the convention and moved to a little hotel in Kensington. The door to the London House Hotel opens automatically as you approach, and every time it did I thought of The Prisoner. Once checked in we were now in the “touristy” part of the trip. We did a double-decker bus tour of London that ended with a fancy tea at Harrods. 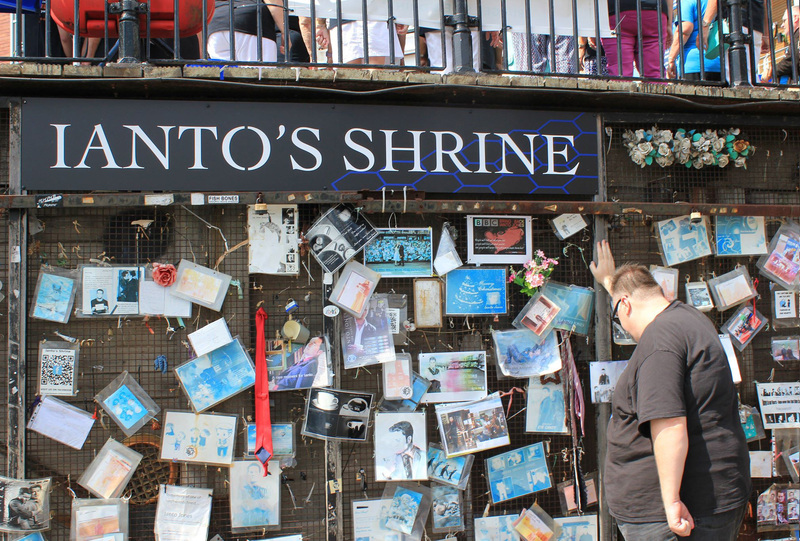 We visited the Camden Town shopping district. We met up with Dutch, a friend of Tim’s he’d known for years but only online and all had dinner together. 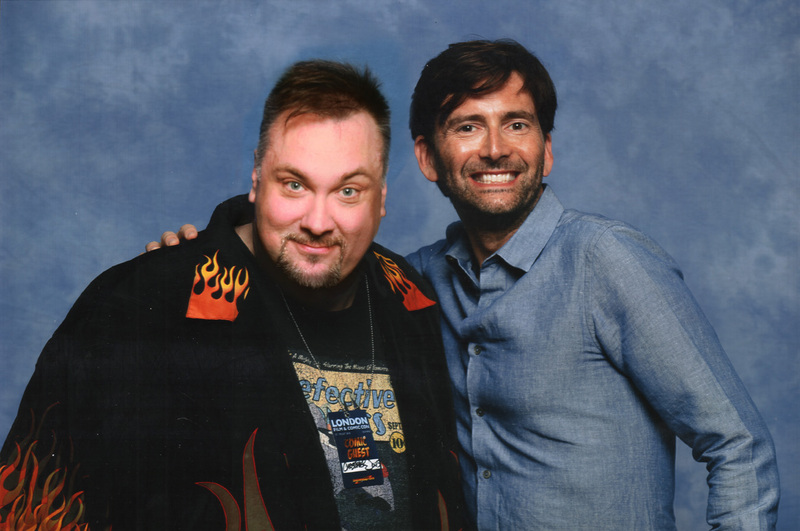 We met up with Chris Thompson (Brand Manager for Titan Comics) who I’d seen briefly at LFCC and had a much more leisurely conversation, talking all things Doctor Who and comics. 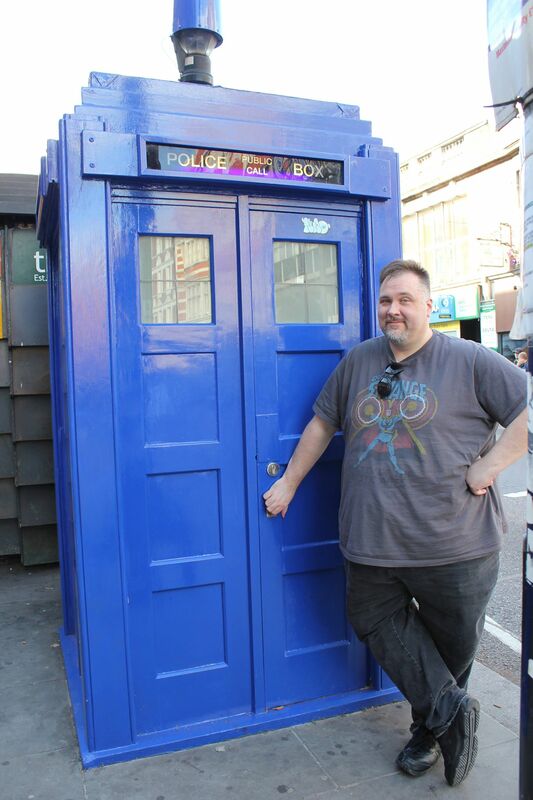 I did a quick signing at London’s legendary Forbidden Planet comic book store on the day the final issue of my Doctor Who: The Seventh Doctor “Operation Volcano” mini-series was released. Thursday afternoon we met up with Tony Lee for better “quality time” then we’d snagged with him during the busy convention weekend. Together we visited The British Library, and half the fun was seeing Tony’s obvious joy in sharing one of his favorite places. The building itself is beautiful, but we saw bibles transcribed by monks, handwritten lyrics to Beatles songs, original manuscript pages from Mary Shelly’s Frankenstein (on display side-by-side with a copy of Bernie Wrightson‘s illustrated edition of the book, to my delight), and the Magna Carta. Amazing place. 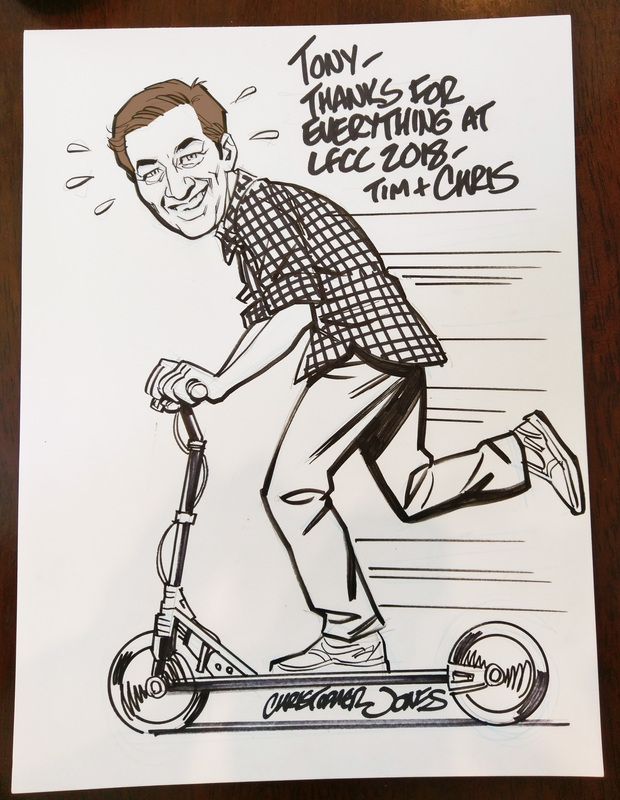 We grabbed a quick bite to eat and I took the opportunity to give Tony the sketch I had done of him on the scooter he’d been using to whiz around LFCC all weekend. I’d left the hair “open for color” rather than filling it in black, but Tony thought it made him look white-haired and accused me of drawing his father. The sketch is presented here with the hair colored brown in deference to Tony. Tony Lee on his LFCC scooter. 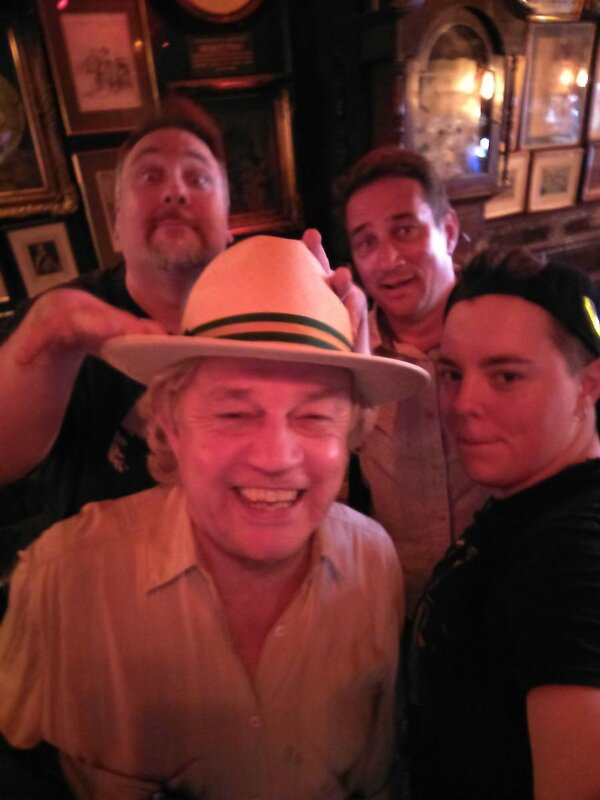 It was around this time that Tony learned that Frazer Hines (2nd Doctor companion Jamie from Doctor Who) was nearby, so he was invited to join us, and we all moved to another nearby pub for some good conversation and a low-light-level selfie. Thurdsay evening we met Dan Slott and Paul Cornell for a lovely Indian dinner, and afterwards Tim and I took the train with Paul to Swindon and then drove the rest of the way back to his home in Fairford, Gloucestershire which was a setting in our #DoctorWho The Third Doctor comic series “Heralds of Destruction.” We got in late enough that Paul’s wife Caroline Symcox and their son were asleep so we crept in quietly to get some sleep ourselves and be social the following day. Friday began with some conversation at Paul and Caroline’s lovely home, which is the Vicarage for St. Mary’s Church. 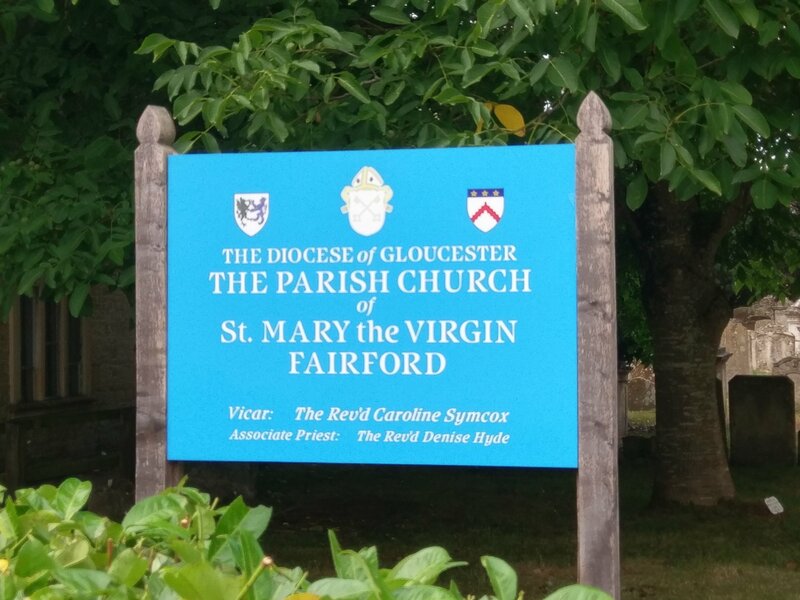 Caroline is the Vicar of the church, which was a featured location as UNIT’s temporary base-of-operations when they were in Fairford in our Doctor Who story! Caroline was good enough to give us a personalized tour of the church, which is a beautiful building with amazing history, especially it’s stained glass windows. I’d wanted to get a photo with both Paul and Caroline in front of the church, but Paul had already ducked away when I wasn’t looking to do some childcare while Caroline gave us the tour, and then Caroline got busy with some unexpected church business, leaving Tim and I to walk back to the Vicarage to meet up with Paul and await Caroline and the babysitter so Tim, Paul, Caroline and I could head off to Avebury! Chris standing in front of the real thing. Avebury is an amazing place, home to a Neolithic henge monument containing three stone circles, around the village. One of the best known prehistoric sites in Britain, it contains the largest megalithic stone circle in the world. 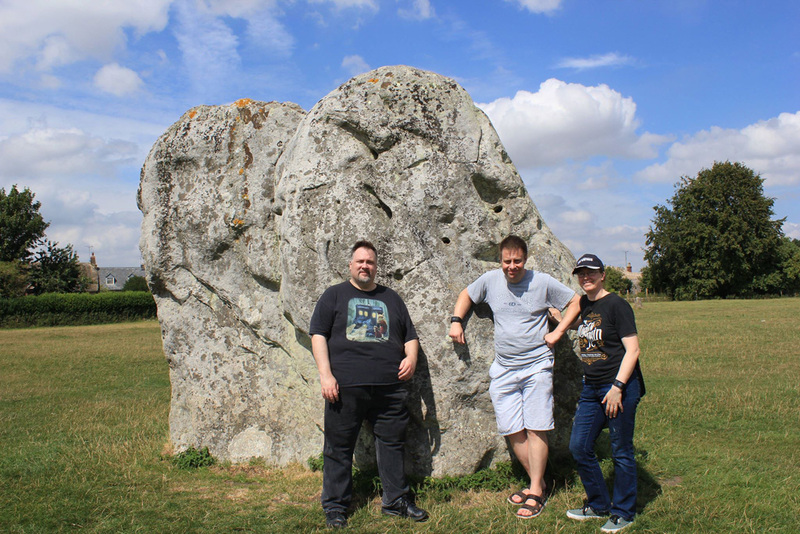 Christopher Jones, Paul Cornell, & Caroline Symcox at the Avebury Stone Circle. 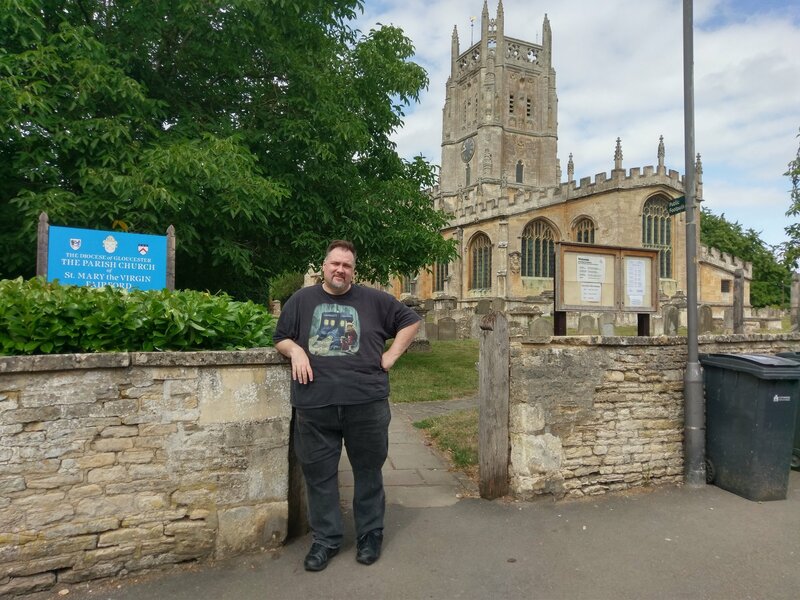 After Avebury it was back to Fairford. Paul and I did some plotting and planning that will hopefully lead to another collaboration in the coming months (we’ll see), and then we all had a quick dinner at the pub before Paul gave Tim and I a ride back to the Swindon train station. 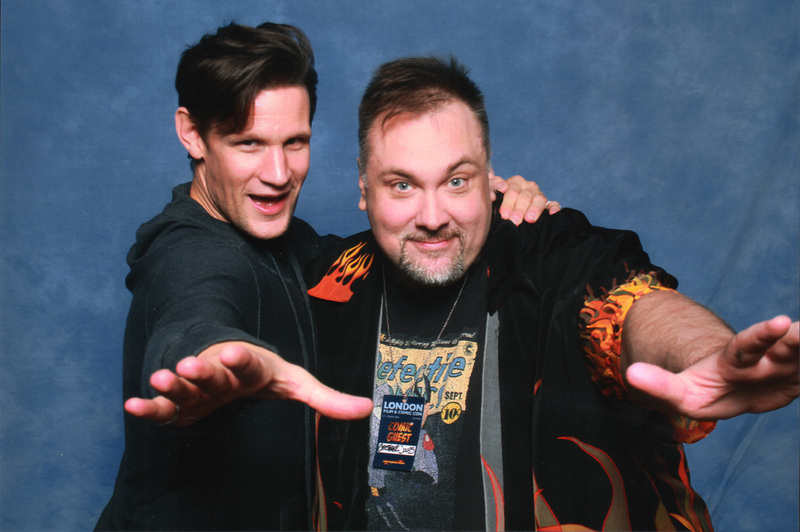 Tim and I took the train from Swindon to Cardiff, which has been the base of production for Doctor Who since 2005. We didn’t get to our hotel until around 11pm, so we didn’t do much other than get some sleep before doing a tour the following day. 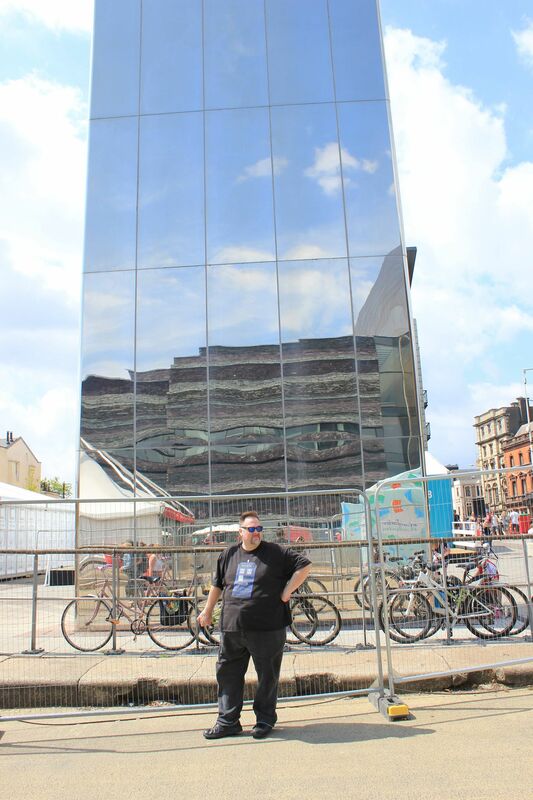 The tour started from Wales Millennium Centre in Roald Dahl Plass, and we spent the afternoon travelling by coach (no double-decker this time) to various Doctor Who filming locations, occasionally stopping to walk about. 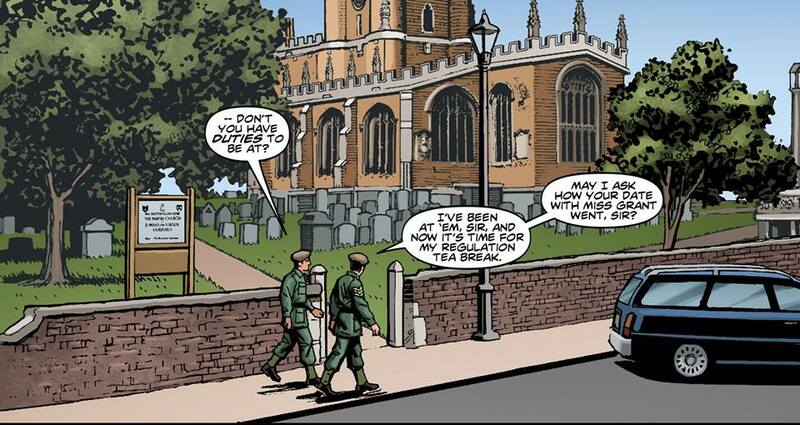 It seemed that fully half the locations we visited were from either Father’s Day or the Human Nature / Family of Blood 2-parter, both written by Paul Cornell. This amused Tim and I greatly given where we’d spend the previous day. Arriving back at Roald Dahl Plass the tour guide pointed out Eddie’s Diner, the shooting location for the 50’s Diner (supposedly in Utah) seen in two different Doctor Who stories, so it was obvious where Tim and I were going to have dinner before catching the train back to London. 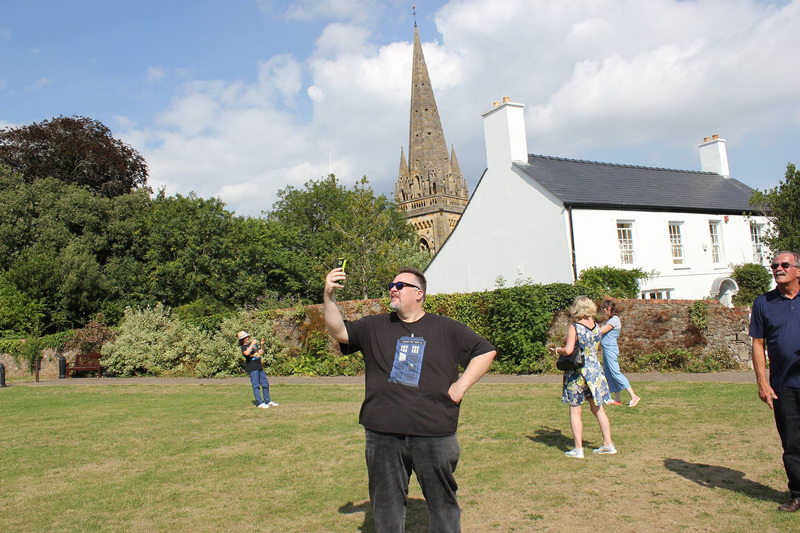 Looking for Patient Zero on the Doctor Who filming locations tour. Tried to talk to Torchwood. Nobody Home. 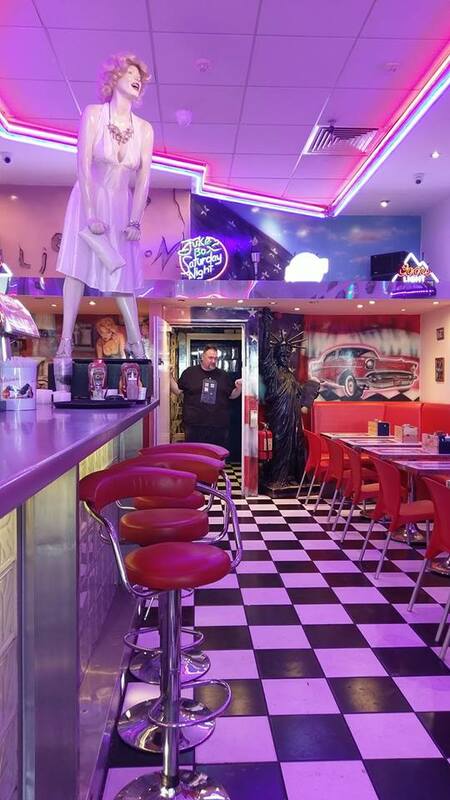 Eddies Diner, found in Cardiff Bay, not Utah. Maybe this box I found in Earl’s Court can help. 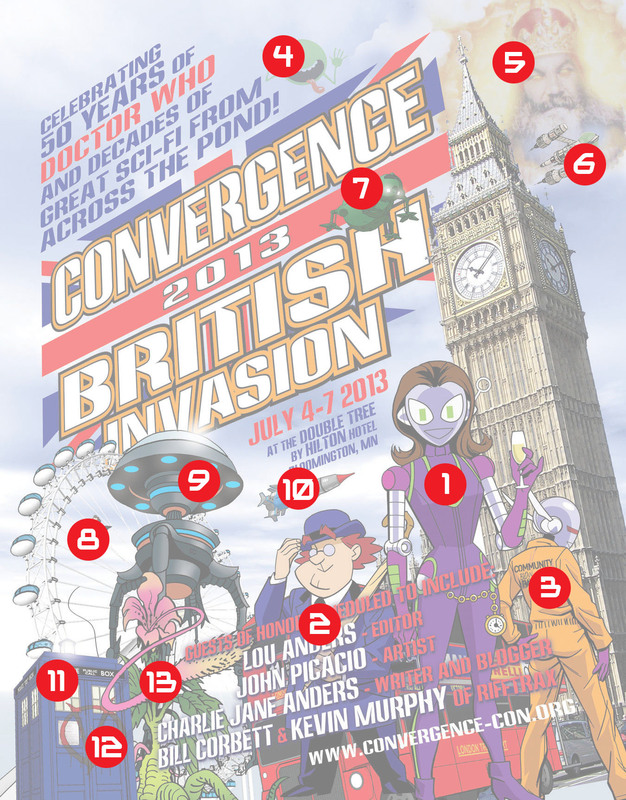 CONvergence 2013 – The Key! 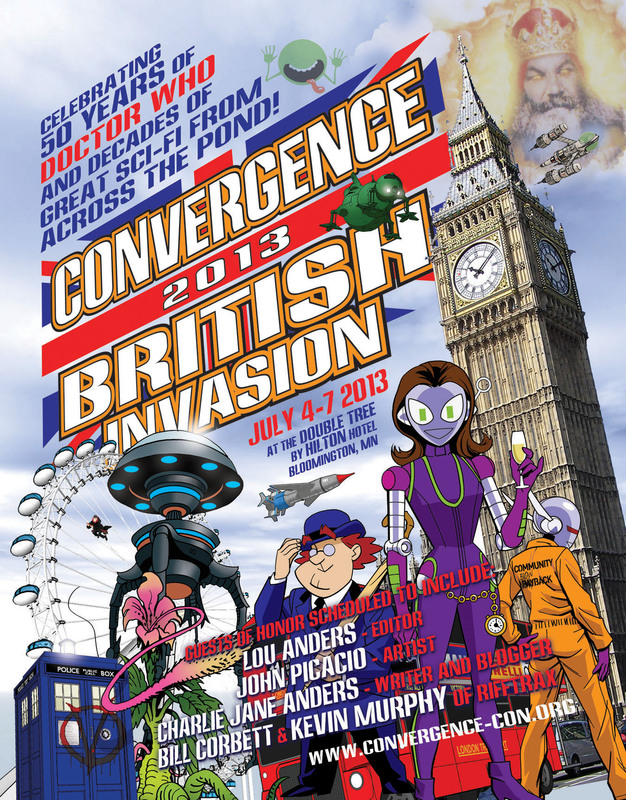 If you were at CONvergence last weekend, you probably saw this promotional art for next year’s convention and it’s British Invasion theme. I wanted to post a key to the references it contains for those that might not have gotten all of them. Not numbered, but visible in the background: The London Eye, Big Ben, and a Double-Decker London bus.